For more details, please visit the Help Center. Apps Script lets you do more with Google, like create add-ons for Docs, develop custom functions for Sheets, and manage responses in Forms. Traditionally, G Suite admins have had little or no visibility into the extent of the Apps Script usage in their organizations. 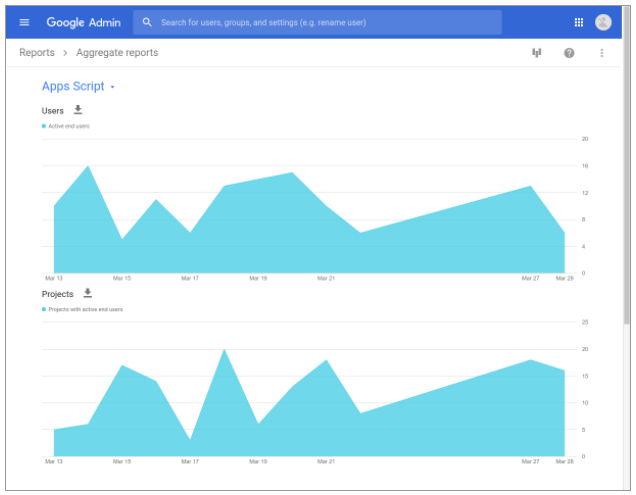 With this launch, however, admins will be able to view Apps Script metrics, including number of users and number of active projects, in the Aggregate reports section of the Admin console. Admins currently participating in the App Maker Early Adopter Program will see App Maker metrics listed as well.